It’s always kind of sad to say goodbye to fresh tomato season. There should be another month until frost hits our area and I am trying to eat as many fresh tomatoes as I can between now and then. I have been getting heirloom tomatoes from my friend Carl at Blue Pike Farm. 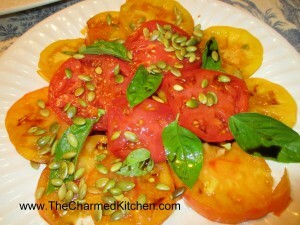 I needed a salad for a dinner with friends and decided to make this simple but tasty tomato salad. That’s the thing about fresh tomatoes. You really don’t need to do much with them. Heck, I’m happy with some fresh slices and a sprinkle of salt. For this salad I started with slices of fresh tomatoes. 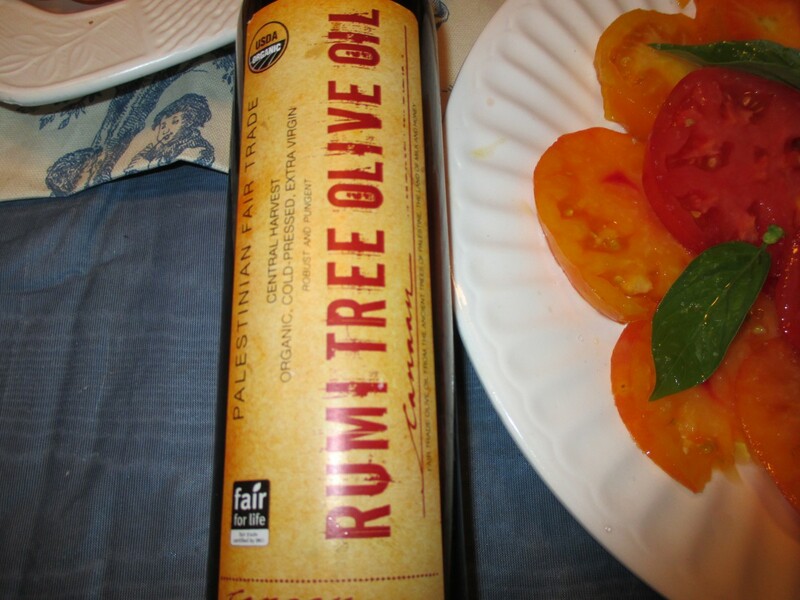 I had a bottle of this amazing olive oil so I added a drizzle of it to the tomatoes along with a drizzle of balsamic vinegar, too. I also added a few basil leaves and some freshly ground sea salt. I wanted a crunch element and decided to add toasted pumpkin seeds. You can buy them already toasted or just toast them yourself. * I sprinkled them over the tomato salad and it added just the texture I was looking for. *To toast pumpkin seeds place a layer of pumpkin seeds in a dry skillet and cook them, over medium heat, until they start to brown a little. Toss or stir often. Be careful not to burn them. The seeds will jump a little in the pan. That’s normal. Once seeds have toasted remove them from the heat and let them cool down. Continuing with my cooking with lemonade assignment I came up with a simple salad dressing. It’s only 4 ingredients and while I used it on this corn salad it would also be great tossed on a green salad or maybe a potato salad. I am always looking for new salad ideas. This is one I will be making again soon. Combine all ingredients in a bowl. Cover and chill at least an hour before serving. Serves 8. Place all ingredients in a jar and shake to combine. Serve as a salad dressing on mixed greens or with assorted veggies. I enjoy the sweetness of both beets and carrots. This simple and tasty dish combines the earthy flavors of both vegetables in a simple, raw salad. It’s a great side dish and nice to make on a day when it is too hot to cook. Peel beets and shred or grate them using a hand grater or food processor. Place in a mixing bowl and set aside. 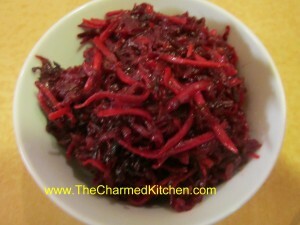 Peel and shred the carrots and add to the beets. Combine remaining ingredients and pour over the beet mixture. Stir to coat and chill until ready to serve. Makes about 3 cups. Feeling nostalgic today. I was looking for a cool salad for dinner. 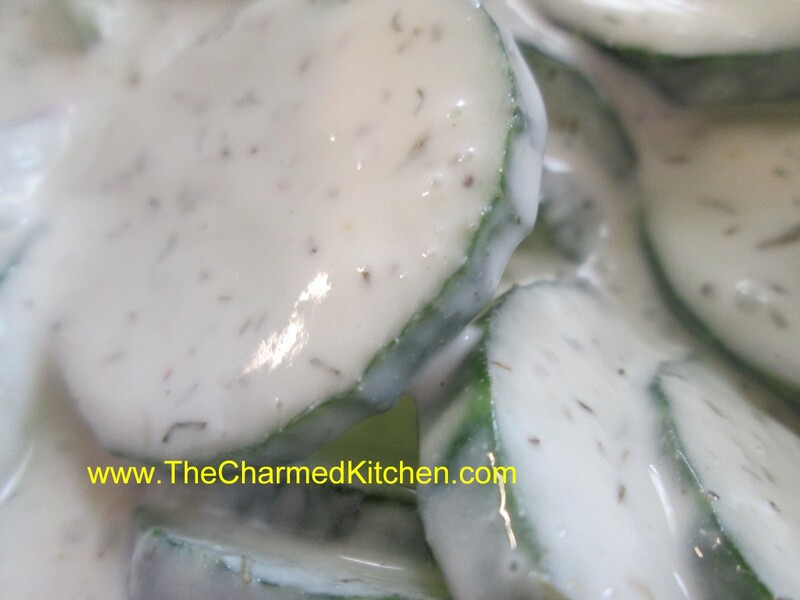 I had a couple of cucumbers and an open container of sour cream. Seemed like the best solution. Later we will have it with grilled quesadillas. The coolness of the salad will go well with the rest of the meal.It made me think of childhood summers. 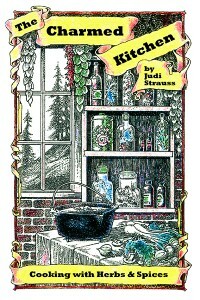 It was one of the first dishes I can remember helping my Mother make. She let me slice the cucumbers and mix the dressing. It seemed we often had it on the weekends when my Father was grilling.I can’t make this salad without thinking of the wonderful smells wafting into the kitchen from that grill. I’d pop the salad into the fridge and then run out to check on what my dad was doing. Sometimes he needed a platter to bring the food in on, or maybe just a cold drink. I would watch in fascination at his skill in cooking over the hot coals. Nothing tastes as good at something off the grill. It’s funny how certain foods bring on certain memories. Combine all ingredients and chill at least 10 minutes. Serves 4-6. I’ve been on a salad kick lately. Maybe the high temps have something to do with that. I was talking to my friend, Mari, last night and we were talking about favorite salads. We both agreed that we love bean salad. As a kid I remember my Mom’s three bean salad. I find myself making this dish with more than three types of beans. Everyone seems to have their favorite combination. 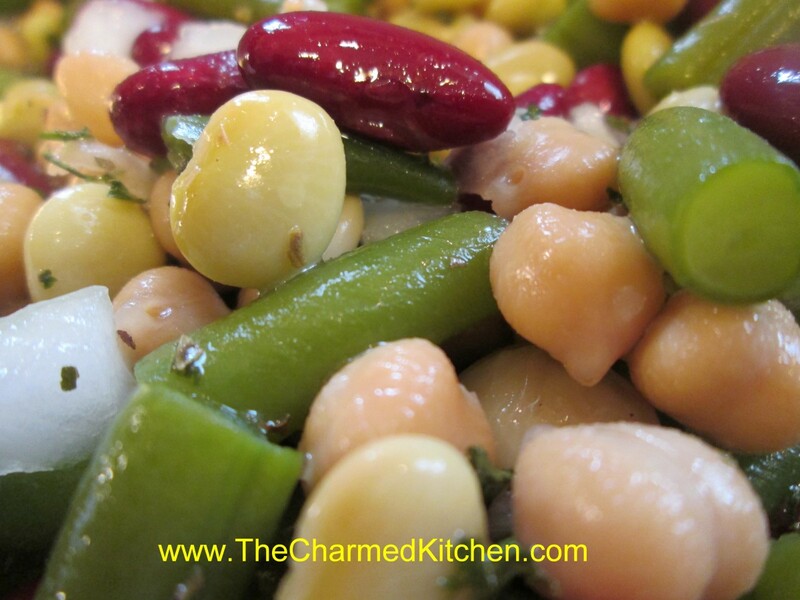 I start with green beans and then check out my pantry for what other beans to add. Here is the one I made this time. 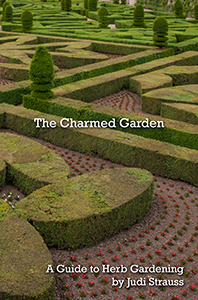 Combine beans with onions and parsley in a medium bowl. Combine remaining ingredients in a small bowl and pour over the bean mixture. Stir well and chill a couple of hours before serving. Serves 8. I was looking for a salad idea the other day and found the answer in my freezer. I had a bag of lima beans and some corn from last year. I also had a ham bone. Not what you might think of for a salad but I needed it to work. I started by putting the ham bone in a pot with some water and let it simmer for an hour or so- to get some of the flavor out. I added the lima beans and corn and cooked them until tender- about 10 minutes. I figured this would add flavor to them. I drained off the veggies, let them cool, and combined them with a sweet pepper and ham I’d cut off the bone. I still needed a dressing and since I had an open container of sour cream I used that. Here is the recipe I ended up with. It ended up tasting really good. Went well with steaks and tuna off the grill. 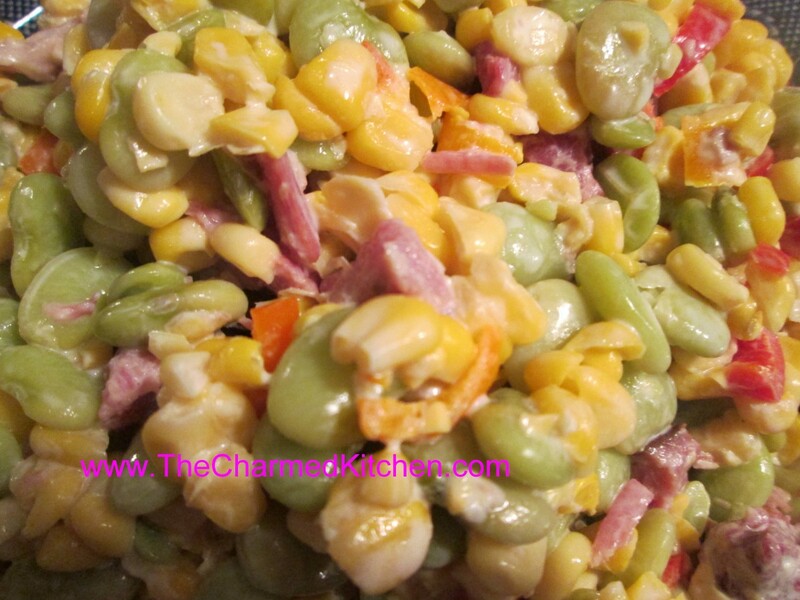 Combine veggies with the ham in medium bowl. In small bowl stir together dressing ingredients until smooth and toss with the veggie mixture. Chill until ready to serve. Serves 6. I love a good salad. I also like to make dishes that can travel well when I am visiting with friends. After a conversation with a friend the other day about her having to travel for a family event and bring food along I was inspired to come up with this recipe. Similar to a cole slaw this salad has an equal share of carrots and an herb-infused dressing that gives it a great flavor. It can be made a couple of days ahead, if needed, and is better if you make it the night before. 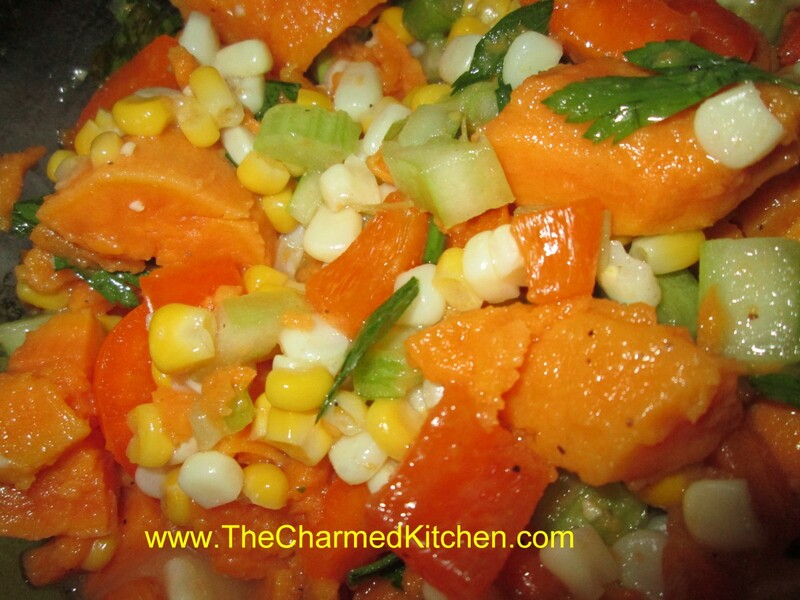 Combine veggies in a bowl. Combine dressing ingredients in a jar with a tight-fitting lid and shake well to combine. Adjust seasonings. Pour dressing over the veggies and stir to mix well. Cover and chill for several hours or overnight. Serves 10-12. Combine all ingredients and store in a cool, dry, dark place. Makes about a cup. 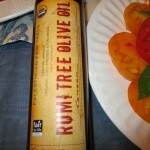 Use in salad dressings or on cooked veggies and in soups and stews. This is one of the dishes I made for a dinner with friends last night. I had forgotten about this dish. I used to make it a lot more often. 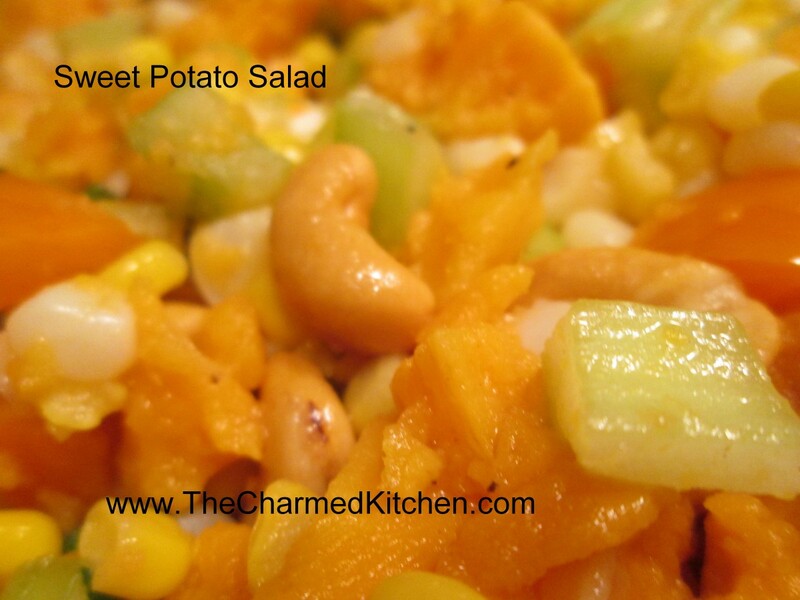 It is a great change up from regular potato salad and a nice side for all sorts of meals. We had it with duck but a friend of mine is planning on serving it with her ham dinner planned for next week. The secret is to watch the sweet potatoes carefully when cooking them. You need to get them cooked, but not mushy. I steam them- either traditionally or in the microwave and check them often. Once they get to the right degree of “cooked” I put them in cold water to stop the cooking. 2 c. corn kernels, fresh off the cob preferred but frozen is O.K. In medium saucepan boil or steam potatoes until tender, about 20-25 minutes. Remove with slotted spoon and place in a large bowl of ice water. 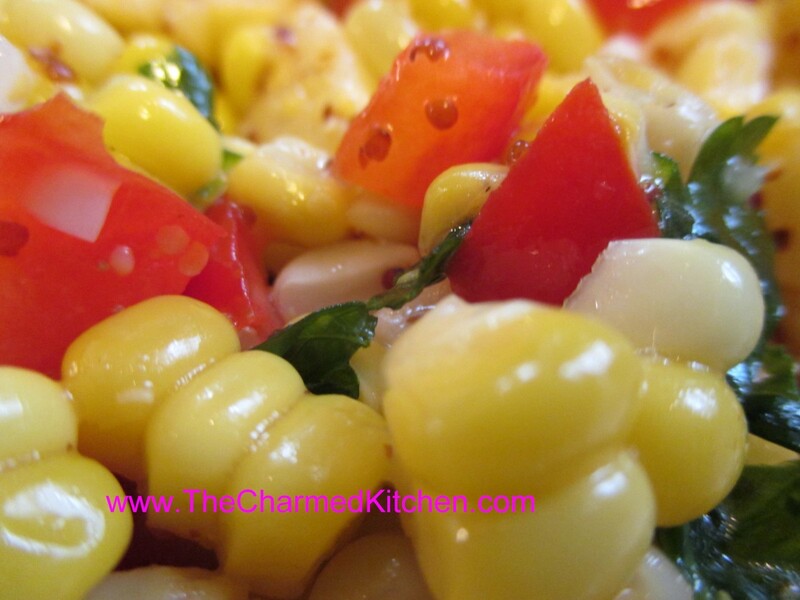 Add corn to saucepan and cook until just tender about 2-3 minutes. Drain corn and add to ice water with the potatoes. Once the vegetables have cooled down drain them and peel and cut the potatoes into bite-sized pieces. Place potatoes and corn in a mixing bowl with remaining vegetables. Combine remaining ingredients, except cashews, in a jar with a tight-fitting lid and shake well before pouring over the sweet potato mixture. Toss to blend and chill until ready to serve. Add cashews just before serving. Serves 6. I got this recipe from a friend many years ago. We made it in class the other night. It’s a nice variation on a salad I enjoy a lot of different ways. The crunch of the cabbage goes well with the sweetness of the fruit. 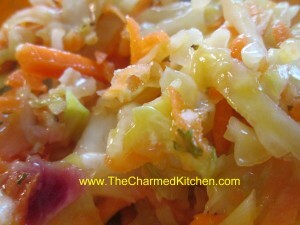 Since cabbage is on sale everywhere lately I thought I would share the recipe with you. 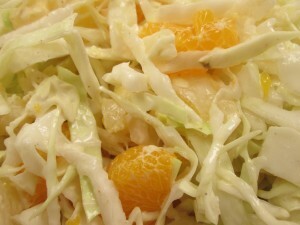 Combine cabbage with fruit and set aside. Combine remaining ingredients including reserved juice to make dressing and pour over cabbage mixture, tossing gently to coat. Chill several hours or overnight before serving. Serves 8.